SUARAM, a leading Malaysian human rights NGO, welcomes all media, both regional and Malaysian media, as well as members of the diplomatic community in Bangkok, to this exclusive press briefing, on one of the most sensational and controversial corruption scandals in our country, and perhaps in the region of ASEAN. 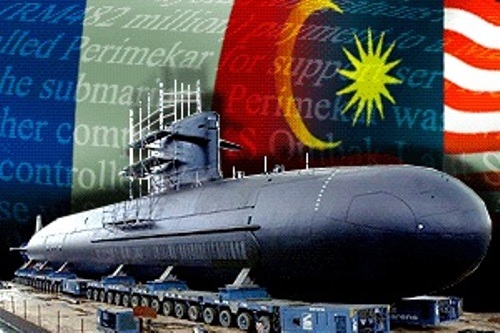 In a script befitting a Hollywood spy thriller, this corruption scandal surrounds the purchase of two French “SCORPENE” class submarines whose price continues to escalate till today, the shocking and brutal murder of a glamorous Mongolian woman, the blowing up of her body by C4 explosives, the decision of the French courts to hear evidence about the alleged bribery of top Malaysian and French officials - and the growing links between these - spell big headaches for the ruling administration, and e specially for current Prime Minister Najib Razak. This is the first joint media conference between our French lawyers and the SUARAM team, following the commencement of a judicial inquiry at the Tribunal De Grande Instance in Paris, that will probe alleged corruption crimes and illegal bribes involving top officials from both Malaysia and France. As was earlier reported, the SUARAM delegation comprising board members Kua Kia Soong, Cynthia Gabriel and Fadiah Nadwa Fikri, returned after a successful hearing before Judge Roger Le Loire, one of the two Instruction Judges assigned to oversee the case. The Judge had principally accepted a list of seven proposed witnesses including current Defence Minister Ahmad Zahid Hamidi, former Defence Minister and current Prime Minister Najib Razak, and a central figure in the procurement process, Abdul Razak Baginda as key witnesses that can further assist in the inquiry before the Tribunal. Following the commencement of the inquiry, SUARAM has gained full privileged access to the 153 investigation papers from the Public Prosecutor’s office. This is a huge step forward, as many of the details kept confidential are now made accessible to SUARAM as the civil Plaintiff in the criminal case against the DCNS (French shipbuilding company). French law provides several constraints on the area of access. While we are not able to obtain a hard copy and distribute copies, we are however entitled to full view of the documents and are able to quote them to the media and to the public. It is also crucial to note that the complaint lodged by SUARAM has led to the commencement of a criminal investigation which has just opened, leaving a huge possibility of criminal prosecution of those involved in this corruption scandal. Our lawyers have forewarned that the French and Malaysian officials as well as the companies involved in the corruption scandal may be put on the “suspects” list as the criminal case proceeds in the French Courts. Malaysia as a signatory to the UNCAC since 2008, is now obliged to cooperate with other nation states in preventing, investigating and prosecuting offenders of corruption. State parties are bound to render specific forms of mutual legal assistance in gathering and transferring evidence for use in court and to extradite offenders. An overarching trend in the fight against trans-border corruption is universal jurisdiction. This means a country can bring to trial and prosecute in that country those accused of having committed a crime in another country. The SCORPENE submarine scandal provides the platform for universal jurisdiction to be applied. By ratifying the UNCAC, Malaysia has signaled to the world our willingness to submit to an international framework of cooperation. Judge Le Loire after hearing an elaborate testimony from SUARAM, accepted our statement, and promised to proceed with the inquiry with no stone unturned. On the acceptance of the 7 witnesses proposed by SUARAM, the French Judge had asked for the full details of the persons involved, in order to begin issuing subpoenas as he saw fit. SUARAM lawyer Joseph Breham has further explained that the French court is able to take on several courses of action, in compelling the Malaysian witnesses to assist in the inquiry and the ongoing investigations. The judge will issue a subpoena in writing on a witness. Once a subpoena is issued, the witness is obliged to appear before the courts and to assist the courts in its works. If the witness refuses to abide by the subpoena, the court can issue a notice “mandate d ‘amener”, compelling the witness to appear before it. If the witness fails to oblige, a warrant of arrest may be issued. The warrant of arrest is applicable within the boundaries of the French territory, and may be internationalized, if the judge deems necessary. Based on the judges’ discretionary power, they can ask Interpol to issue a red notice i.e an international warrant of arrest. Following the commencement of the civil case between SUARAM and DCNS, the French authorities have initiated criminal investigations against several top ranking DCNS officials. The outcome of the investigations could lead to prosecution of several officials linked in the procurement process. Witnesses named in the civil case may also be brought into the suspects list to assist in the criminal probe. SUARAM has had several media conferences back in Malaysia, systematically exposing information and developments of the case. Today’s media event in Bangkok has been an inevitable outcome, following the forced deportation of one of two SUARAM lawyers, Mr William Bourdon, last July when he visited Malaysia and spoke at a SUARAM sponsored event, giving a briefing on the developments of the case. SUARAM has had several media conferences back in Malaysia, systematically exposing information and developments of the case. 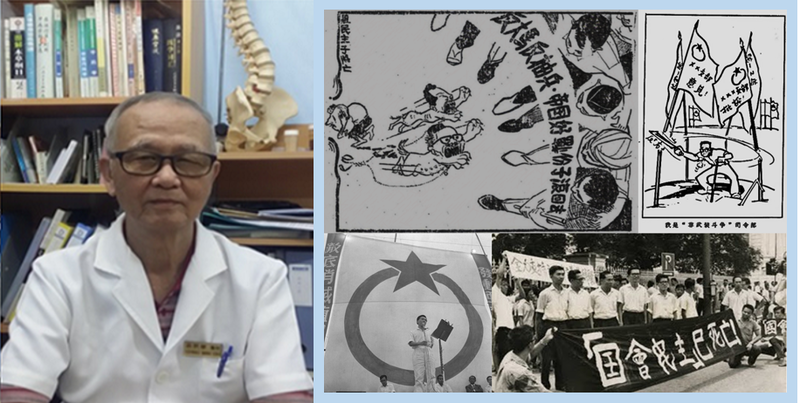 The deportation has signaled a complete snub by the Malaysian authorities over the ongoing inquiry, and have rejected any forms of cooperation thus far. When SUARAM filed a complaint within the French judicial system, in April 2010, public prosecutors raided the DCNS office, and seized confidential documents, including the procurement contract, bank vaults, invoices and other crucial documentation that allowed for further investigation. The documents seized by the French police include a note for the French Minister of Defense dated 2 June 1999 related to an interview with the Malaysian Minister of Defense and the French-Malaysian diplomatic relationships as far as defense is concerned. In a document tagged “Malaysia”, there is a confidential report regarding PERIMEKAR and TERASASI. The report includes a note on “Retracing the background of negotiations”. The note states that pursuant to the major defense contracts between France and Malaysia, there is a requirement that substantial transfer of money has to be channeled to individuals and/or political organizations. The note specifically states that apart from individuals, the ruling party (UMNO) is the biggest beneficiary. Consultants (company agents) are often used as political network agents to facilitate these monetary transfers and to receive commissions from their mandators. The note mentions about Mohd Ibrahim Mohd Noor and Razak Baginda as points of reference for political network. The note further states that both Mohd Ibrahim Mohd Noor and Razak Baginda have strong political connections as Mohd Ibrahim Mohd Noor is close to the Finance Minister Daim Zainuddin and Razak Baginda is close to Defence Minister Najib Razak. The note also explains that by early 2001, Mohd Ibrahim Mohd Noor’s influence began to decline following the fall from power of the Minister of Finance, Daim Zainuddin which resulted in the disappearance of Mohd Ibrahim Mohd Noor’s name from PERIMEKAR both as shareholder and director which was later replaced by people of Razak Baginda’s network. Razak Baginda eventually becomes the main point of reference for political network to facilitate the money transfer. 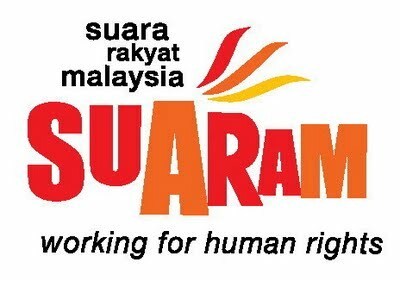 Upon returning from France after meeting with Judge Roger Le Loire at Tribunal de Grande Instance on 19 April 2012 and after gaining full access to the investigation papers, SUARAM had exposed two crucial documents: document 87 and 144. The documents seized by the French police from the office of Mr. Henri GIDE (THALES) on 28 May 2010 includes a fax written in English and sent by F. DUPONT dated 1 June 2001 addressed to D. ARNAUD, CCed to BAIOCCO and SAUVAGEOT with “MALAYSIA/SUBMARINE PROJECT” as the subject. Mr. DUPONT detailed out the chronology of visits and future actions during the journey in Malaysia of which there were various planned undertakings in particular negotiation meetings with the Ministry of Defense and the management members of PERIMEKAR during which two (2) contract proposals would be mentioned (from DCNI to PERIMEKAR as well as between PERIMEKAR and the Malaysian Government). He finally indicated a meeting with DATO’ SRI NAJIB in France on 14 July 2001 with the condition that DCNI offers a maximum sum of USD 1 billion for PERIMEKAR’s stay (in France). “Razak demande si ce SF peut etre pris en compte assez vite. Le Support Fee suit avec un rapport”. Razak requests if that SF can be taken into account quite urgently. The support fee follows with a report. It therefore appears that Thales International Asia could not ignore that the sum paid to TERASASI Sdn Bhd ultimately benefitted Mr Najib Razak the Minister of Defence and/or his consultant Abdul Razak Baginda. 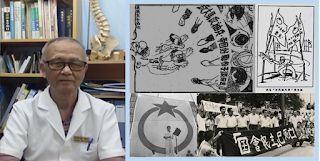 SUARAM’s call for accountability for this serious crime of corruption has fallen on deaf ears despite its continuous effort to demand answers from the Government of Malaysia. The insistence of our government leaders that French law cannot reach them, speaks volumes of the ignorance coupled with a lack of political will to perform its obligations under the UNCAC. However, this will not in any way hamper SUARAM’s determination to uncover the truth in its pursuit for accountability. By taking up the case on behalf of the Malaysian taxpayers, SUARAM vowed to continue its effort in unraveling the truth as the case proceeds in the French Court in due course.